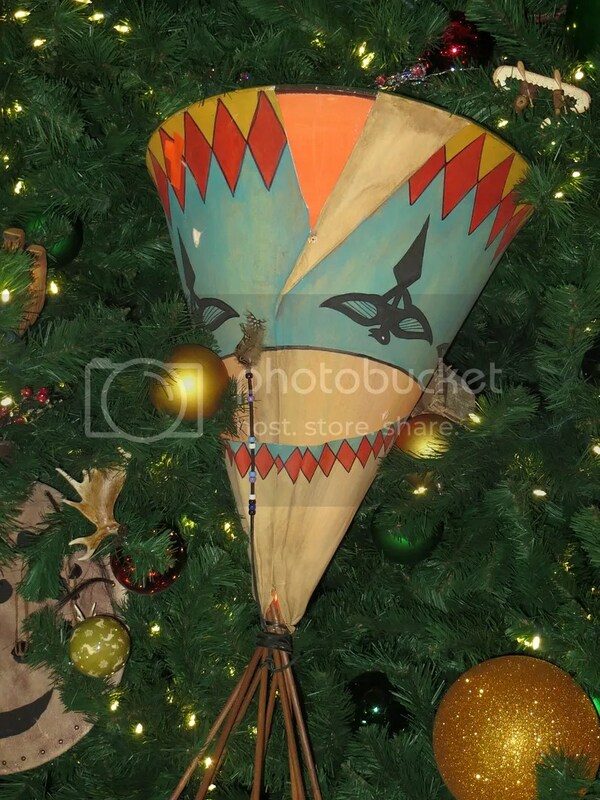 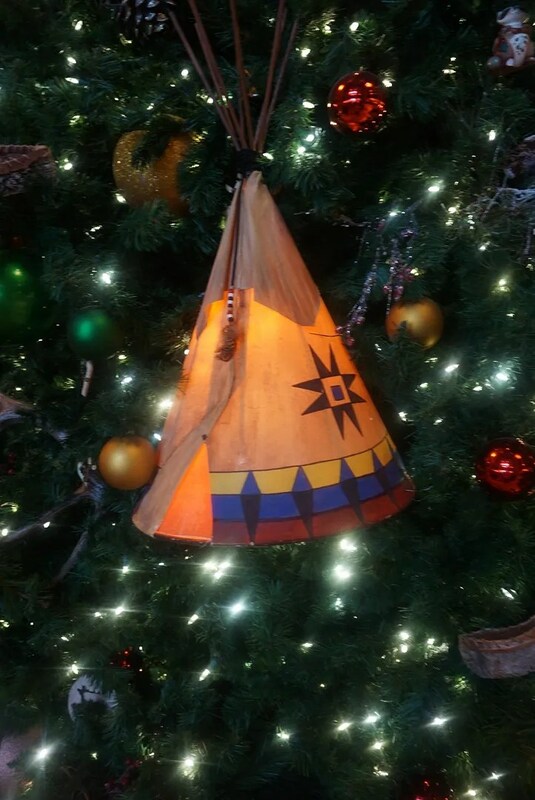 As you can probably tell, my favorite ones are the teepees. 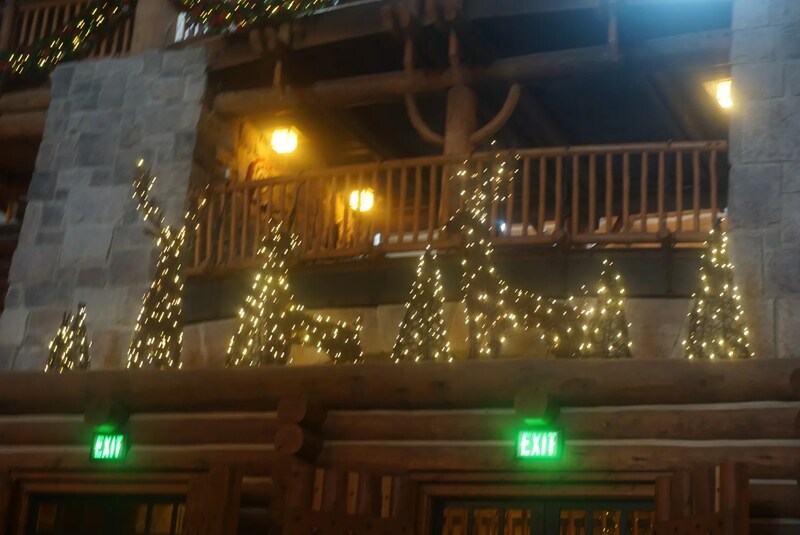 …where they have lighted reindeer and trees. 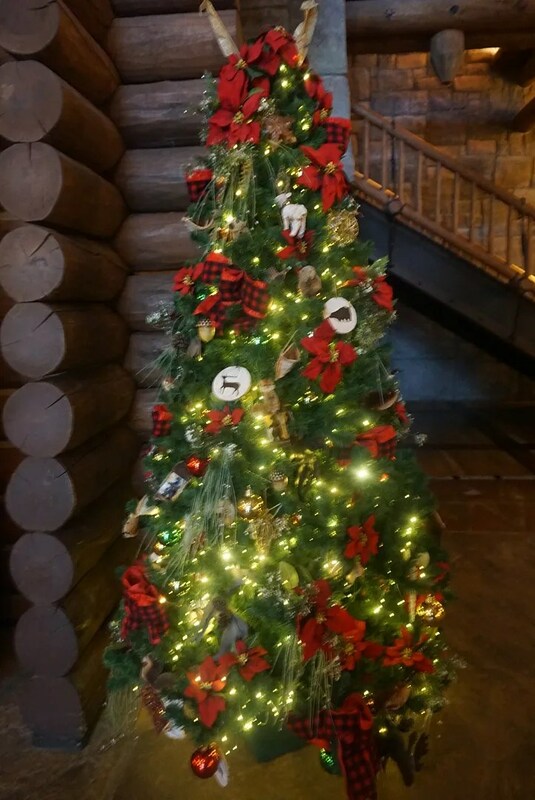 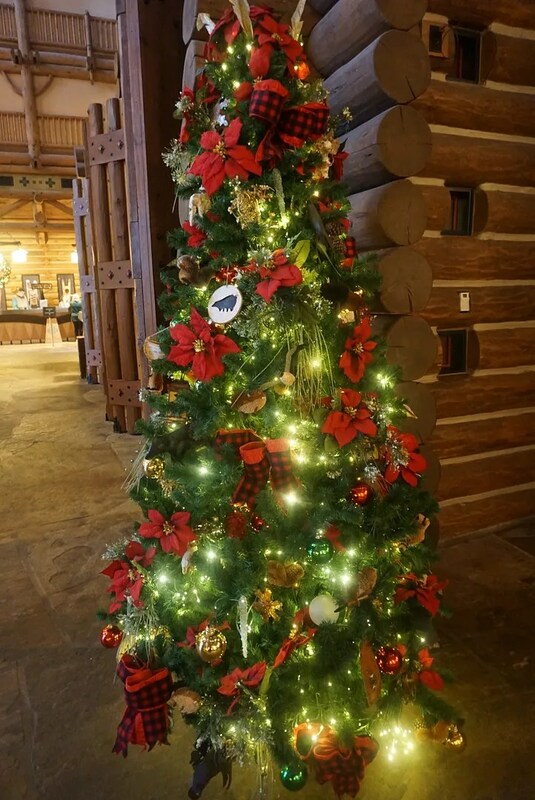 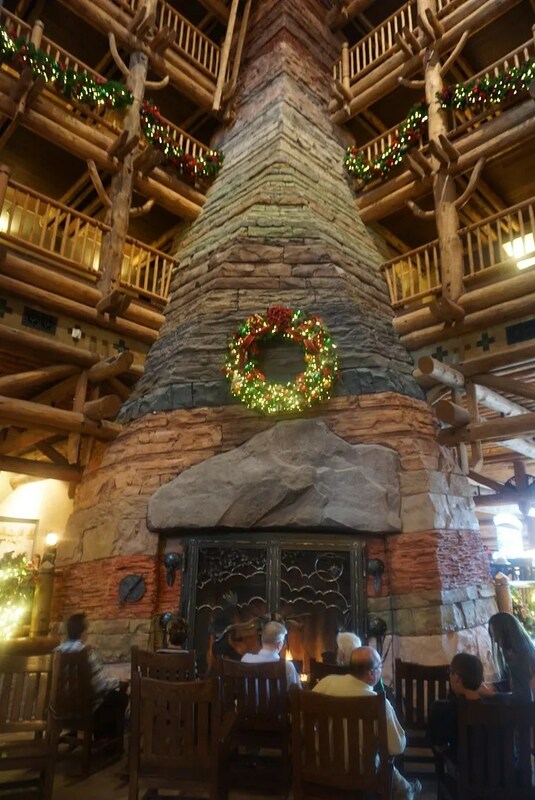 The 82-foot tall stone lobby fireplace had a simple lighted wreath, plus the wooden railings of every other floor of the lodge was decorated with a lighted wreath. 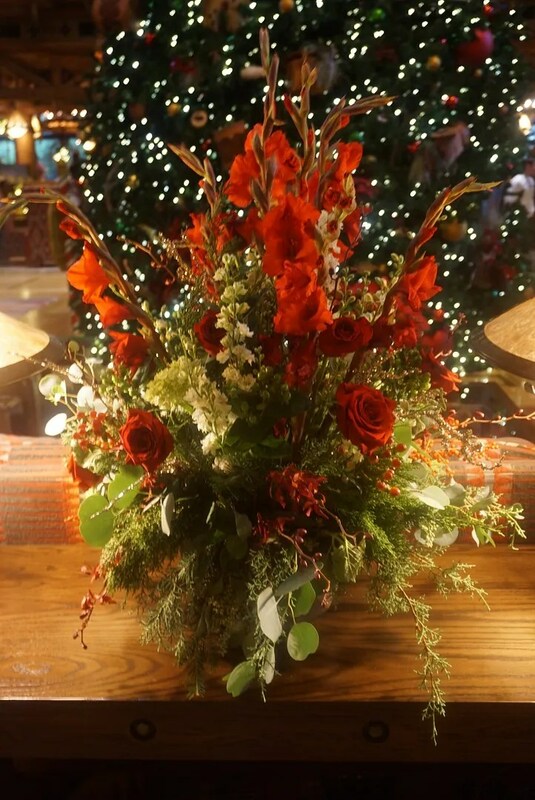 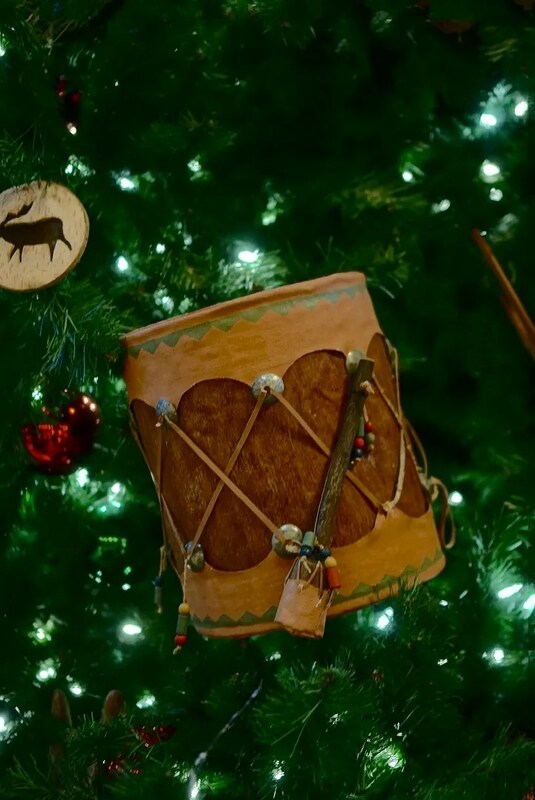 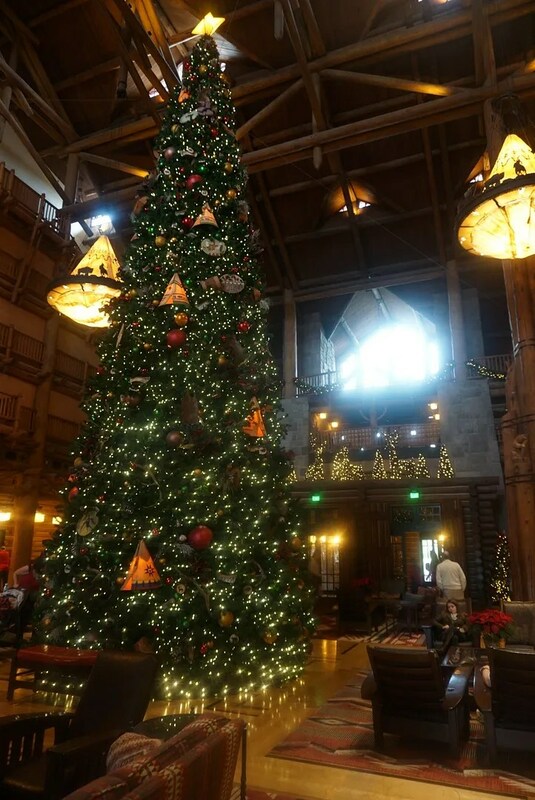 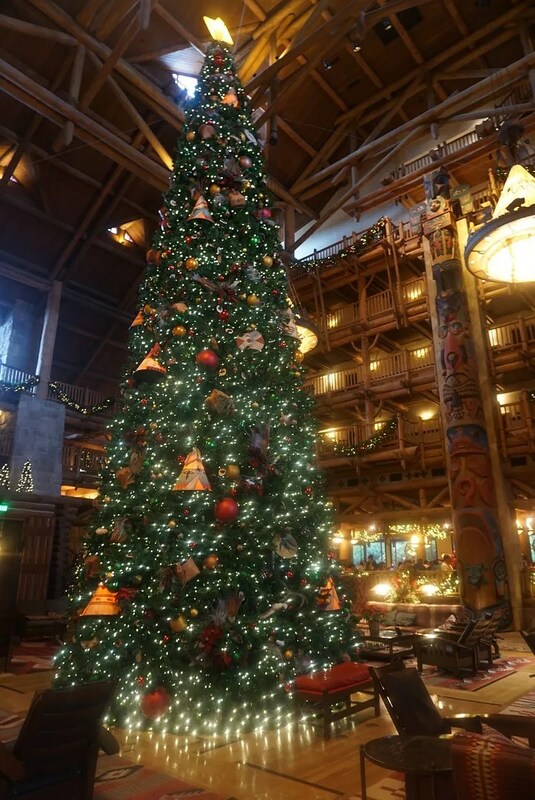 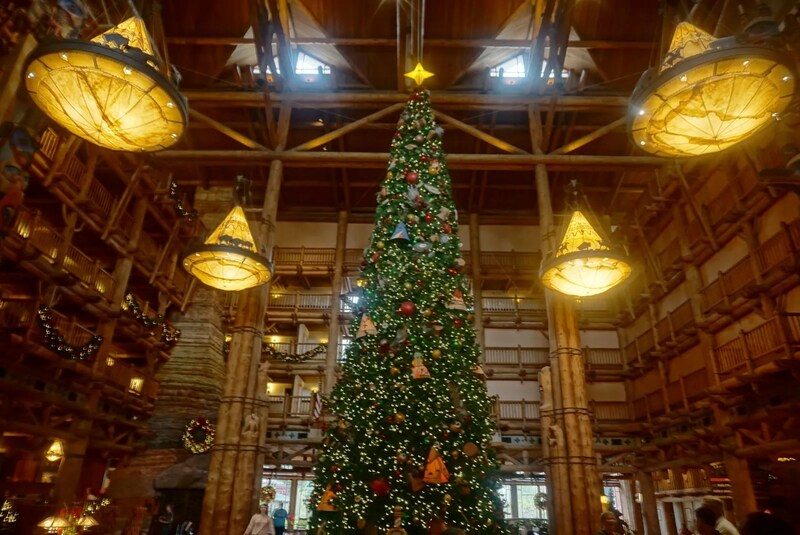 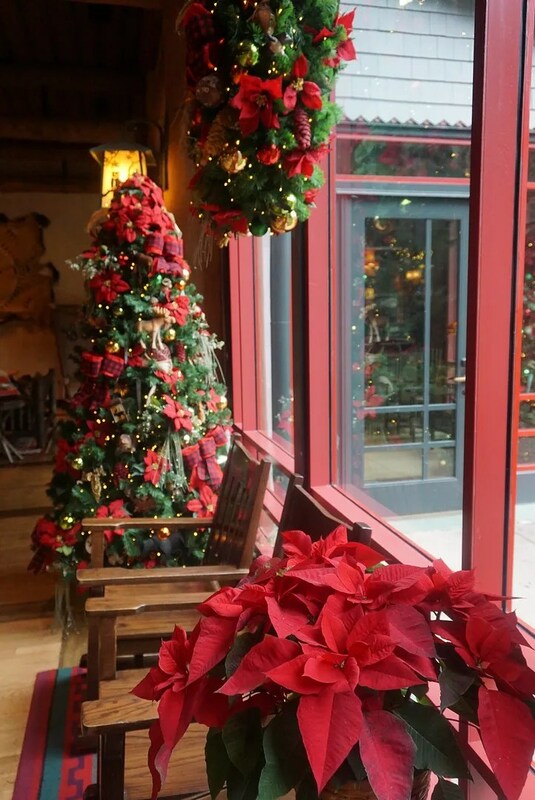 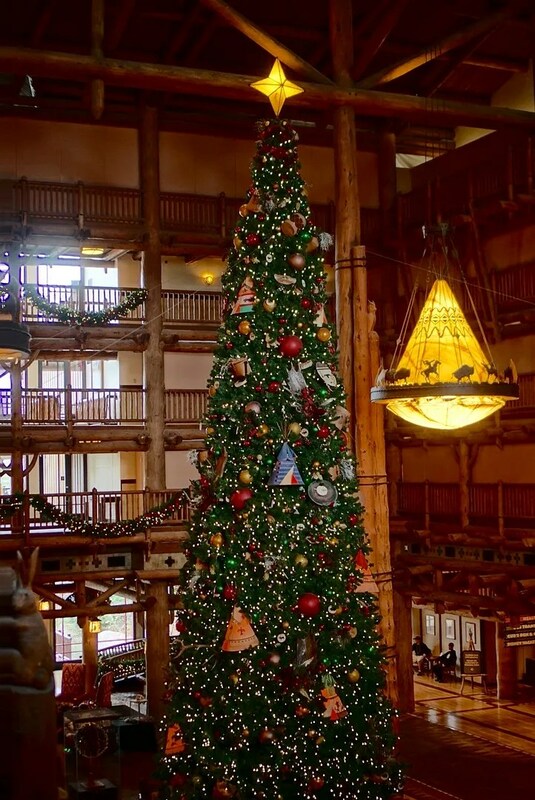 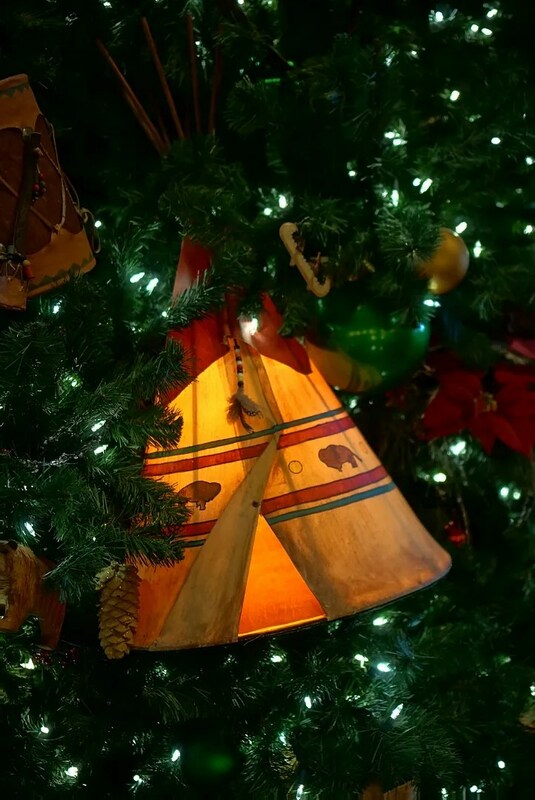 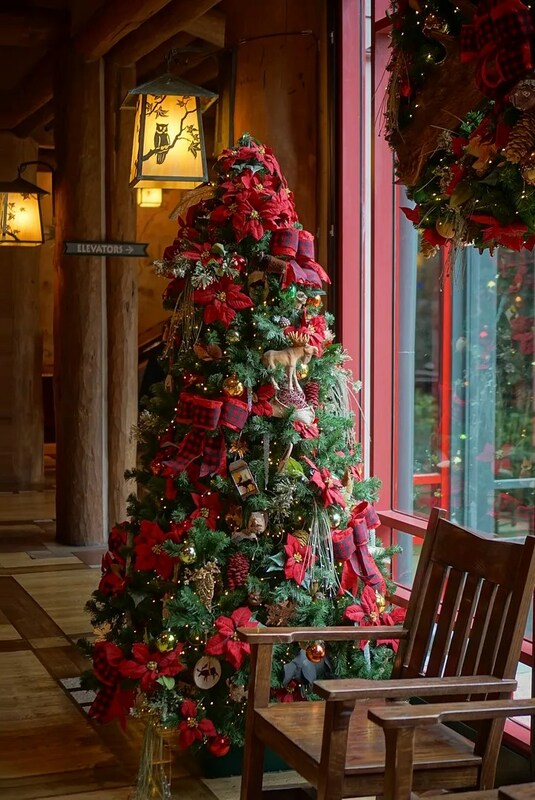 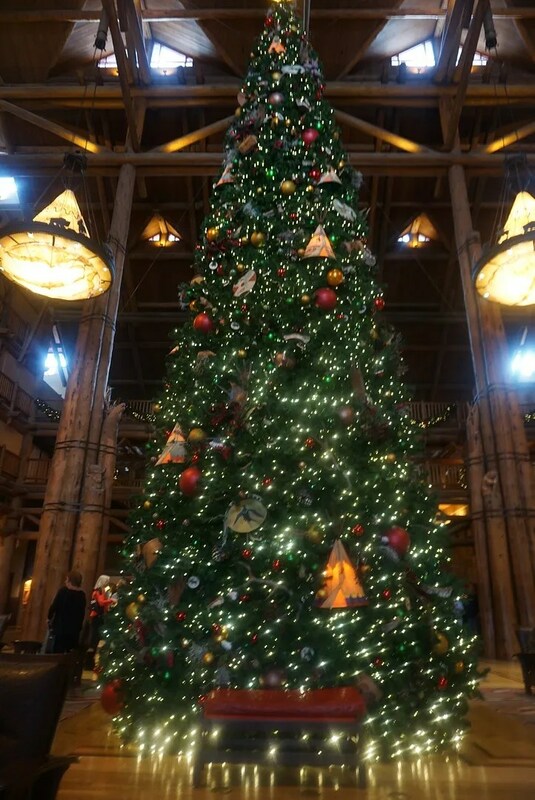 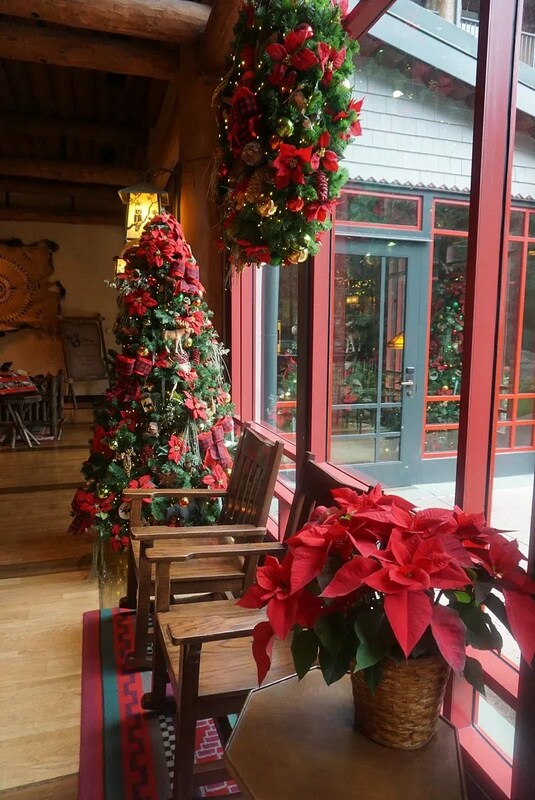 So if you planning a visit to Disney World during the holiday season, I highly recommend that check out the beautiful lobby decorations at the Wilderness Lodge.